There is a growing demand for online marketing of businesses as more and more people are dependent on the internet for finding information about services. The internet serves as an important space in the lives of human beings because any information can be gained from the internet at any given point of time almost from anywhere. Therefore businesses are being developed by giving sufficient importance to online marketing. There are several web development agency who are working for this. The online medium is extremely rich in terms of opportunities. Anybody can access the internet from anyplace with a mobile device or any other gadget that has an internet connection. The business owners who are settled in offline sites have to acquire showrooms, storerooms and several other areas for building and marketing the business. In the case of tangible products the need for offline sites is understandable as the products have to be manufactured and stored in certain places. The selling of these products can be conducted both online and offline. The most important scope provided by the internet to business owners is the opportunity to market products and services. It is true that free advertisements can be created and posted on social pages. Websites can also be created for free for introducing the business product to the global audience. The application of marketing strategies on the online field undoubtedly aids in gaining a wider customer base. The term brand is well-known, and in case of running successful trade and commerce, brand importance is something which cannot be negated in any manner whatsoever. The general perception of the brand is the creation of a logo, taglines, and catchy advertisements. However, with the passage of time, the term brand also has fundamental underground changes with respect to meaning as well as application. The brand of a business in today’s world focuses hugely on the story behind the business. More entrepreneurs are focusing on the art of storytelling for developing the brand image. The pictorial or graphical presentation of a brand is still relevant but only having a logo no longer fulfills the purpose of marketing that is achieved through brand promotion. Therefore stories have to be developed that represent the brand, and the tale has to be presented in a compelling manner so that the audience finds the brand interesting. The promotion of a brand is undoubtedly geared towards the achievement of the attention of the audience. But this is not so easy because the virtual crowd has a plethora of options when it comes to brands and products so if the business owner fails to develop a brand that successfully kindles an emotional connection then the business won’t proliferate in a positive manner. Therefore brand creation is a creative process which includes inventiveness and originality that speaks volumes about the roots of the business organization. If a business owner wants to form an average marketing budget then considering brand development cost is vital. Lack of focus on brand development can result in huge losses in the long run. In short, all business owners have to fight continuously for establishing their business. The struggle for small business owners is nothing less than the effort that has to be put by large organizations for promoting their respective business brands. The competitors in the local area:- When a business is localized than before focusing on nationwide competing organizations, it is important to gauge the competing business owners in the same locale. It is best to have less local competition as it will put the business owner at an advantage. However brand has to be developed in a unique manner no matter what. If competitive service providers are there, then the business owner has to bring out the compelling brand presentation. Then it will attract customers. The listings present in search engines:-A local business has to be mandatorily listed in all the listings available for local businesses across various search engines. A wrong listing in any particular search engine can cost a business owner valuable customers. Therefore claiming of business is mandatory. There are very simple procedures present on search engine listings page which can be followed for putting a claim on the business. In some situations, the business can be wrongly listed in another’s name in such cases given instruction should be followed for reclaiming the business. Checking the information that is shown on virtual maps:- When virtual maps are opened then the site that shows the map includes all important areas within a particular location. As a business owner, it is vital to see the map results of the business brand. The information box that is shown when the business organization is clicked on the map should include the brand name, logo, address and tagline of the business. Checking this information is very important because the internet users can directly use maps for finding the links of business websites and also for checking reviews, so it is imperative that small business owners keep a tab on their virtual presence and even if the services are localized then also keeping an informative website is important. Checking the reviews given online:-Reputation is everything for a business owner and local businesses also need to build their reputation both online and offline. Therefore it is vital to review the reviews from customers which are posted online. Negative words move faster on the internet, and the reputation of a business can get tarnished in no time. Therefore alerts should be activated so that when search engines get negative reviews, then those are saved under the alert section of a business owner. 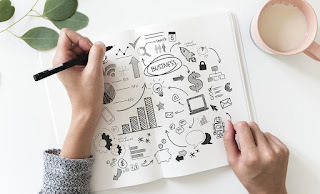 Hence for small businesses, it is imperative to maintain the uniqueness of their brand and also to review their position in the online market from time to time.